If you’re in the market for an iconic American supercar, there’s only one option for you: the 2017 Chevy Corvette Z06. This two-seater performance beast has the skills and the power to blow your mind both on the road and on the track. 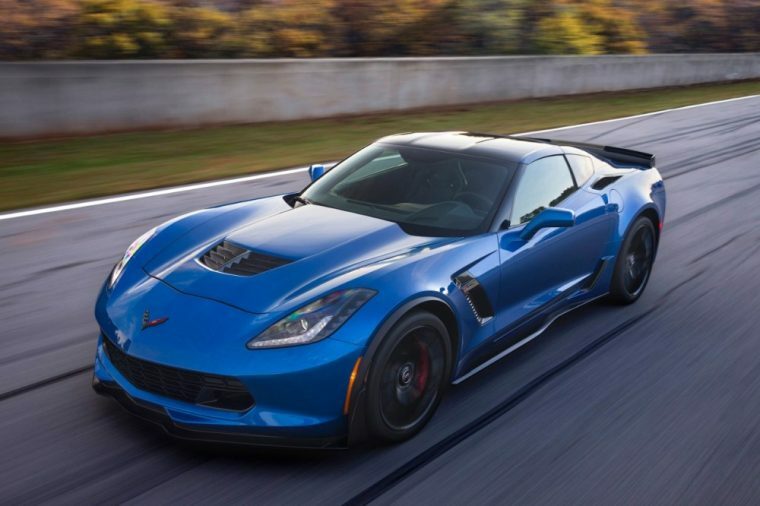 Perfect for drivers looking to stand out, the Corvette Z06’s eye-catching design and luxurious finishes make this one track-ready car you won’t forget in a hurry. What’s New for the 2017 Chevrolet Corvette Z06? After Chevy suspended production on the 2016 model due to several overheating issues, the automaker has worked hard on a fix for the 2017 model year. This fix is a new hood which has larger vents, a new cover for the supercharger, and refreshed front air intakes. These additions are designed to help cool the supercar and prevent these former issues from occurring. Whether you choose the coupe or the convertible Corvette Z06, you know you’ll be getting the sportiest design you can lay your hands on. 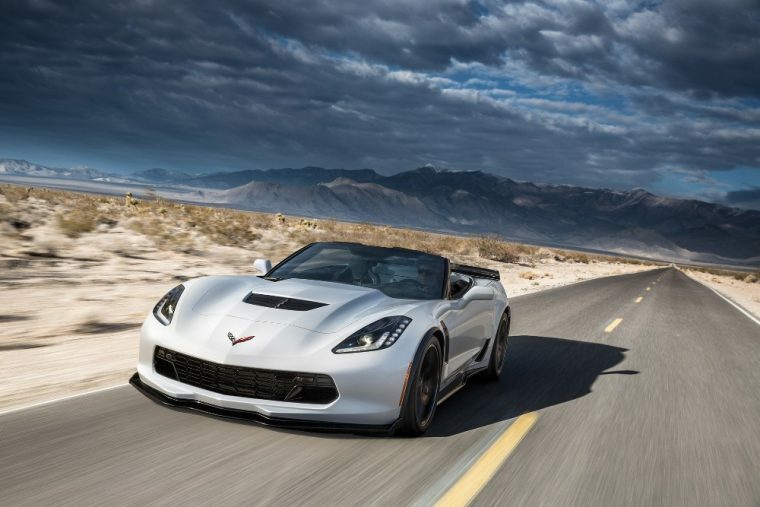 Across its three trim levels (1LZ, 2LZ, and 3LZ), the Corvette Z06 offers exterior features like HID headlamps, heated side mirrors, and 19-inch painted aluminum wheels. This supercar is as sleek and sophisticated as it is powerful, with an aggressive stance and a choice between multiple striking paint colors, such as Corvette Racing Yellow, Admiral Blue, and Torch Red. This is where we really get down to the nitty-gritty. After all, if you’re in the market for a supercar, chances are that you’re more interested in what’s under the hood than anything else. All 2017 Corvette Z06 models are equipped with a ferocious 6.2-liter supercharged V8 engine that pumps out 650 horsepower and 350 lb-ft of torque. This beastly motor is paired to a seven-speed manual transmission, though an eight-speed automatic with paddle shifters is also available. The V8 uses advanced techniques such as direct injection, continuously variable valve time, and active fuel management to squeeze the most excitement out of every drive. 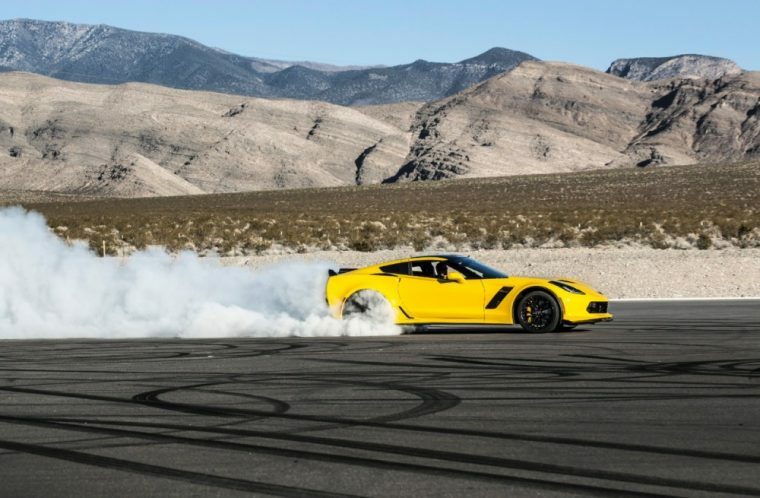 This allows the Corvette Z06 to catapult from 0 to 60 mph in a mere 2.95 seconds, according to Chevy’s track testing. The 2017 Chevy Corvette Z06 provides an incredible amount of power, which doesn’t tend to equal great fuel efficiency. The Corvette Z06 does not disappoint here, with a measly 15 mpg in the city and 22 mpg on the highway. However, if you’re truly in the market for this type of car, you’re probably already expecting to pay more at the pump, so this won’t come as much of a surprise (or a deterrent). The 2017 Chevy Corvette Z06 is as handsome inside as it is outside. Comfort features like a leather-wrapped steering wheel, GT bucket seats, and automatic climate control ensure that every journey will take place in the lap of luxury. On longer journeys, you’ll be kept entertained by the standard Bose premium audio system, which syncs to your phone via Bluetooth and is compatible with Apple CarPlay. 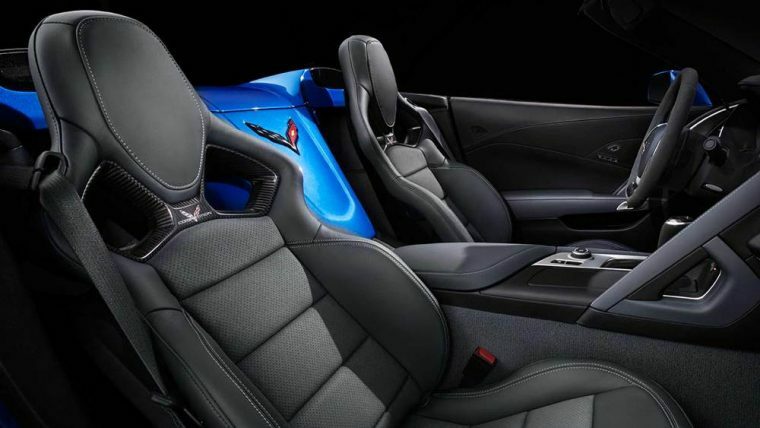 Optional extras include two-tone seats, red or yellow custom leather stitching, a personalized plaque with the Corvette Museum logo, and carbon fiber interior trim. 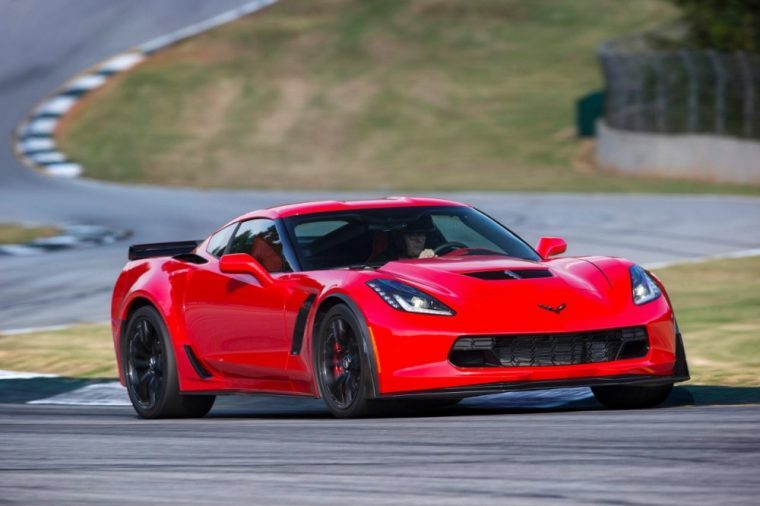 When a car is capable of moving as fast as the Corvette Z06, safety is of utmost importance. Luckily, in this supercar, you don’t have much to worry about. 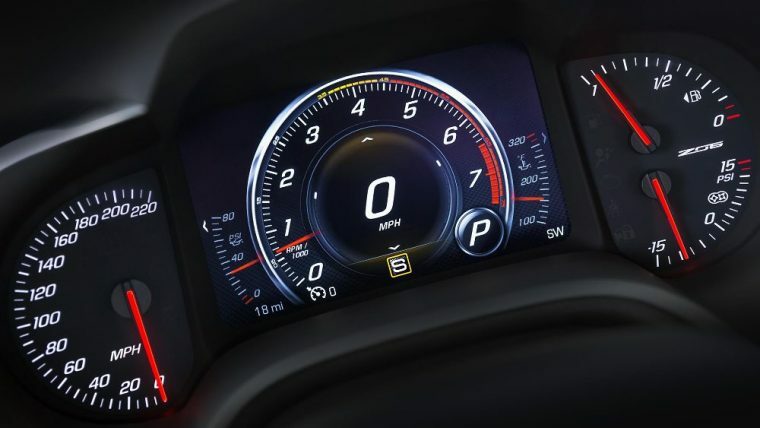 The 2017 Corvette Z06 includes a rear vision camera, performance traction management, and a whole host of other safety features, the entire list of which can be found below.